The world’s largest provider of wine and spirits educations, The Wine & Spirit Education Trust (WSET) has announced the shortlist of nominees for its WSET Educator of the Year Award 2018, sponsored by Riedel. Australia’s own education provider “Get Wine Smart” (previously known as “Wine Construct”) has been nominated for the award and are amongst a strong field of contenders. The winner will be decided by a panel of judges led by WSET Chief Executive Ian Harris, including Richard Bampfield MW, Laura Jewell MW of Wine Australia and Matt Knight of Riedel UK. What judges will be looking for to determine the winner is the educator who has demonstrated evident dedication and growth in delivering WSET’s courses as well as innovation in wine and spirits education. Winner of WSET Educator of the Year 2012 and nominated as an individual for the second year running, Adam is held in great esteem by both his students and peers as a course provider who ensures consistently high standards of WSET wine, spirits and sake education on both coasts of the USA. He also has deep involvement in the WSET Educator Programme and other partnership projects. A dedicated APP with a strong reputation in Japan and beyond, Caplan has become an excellent WSET ambassador for the region. Keeping up with new developments and constantly finding ways to improve its offering, including new classrooms and a teacher calibration programme to standardise teaching, it has seen candidate numbers increasing up to Diploma and now also offers sake qualifications. 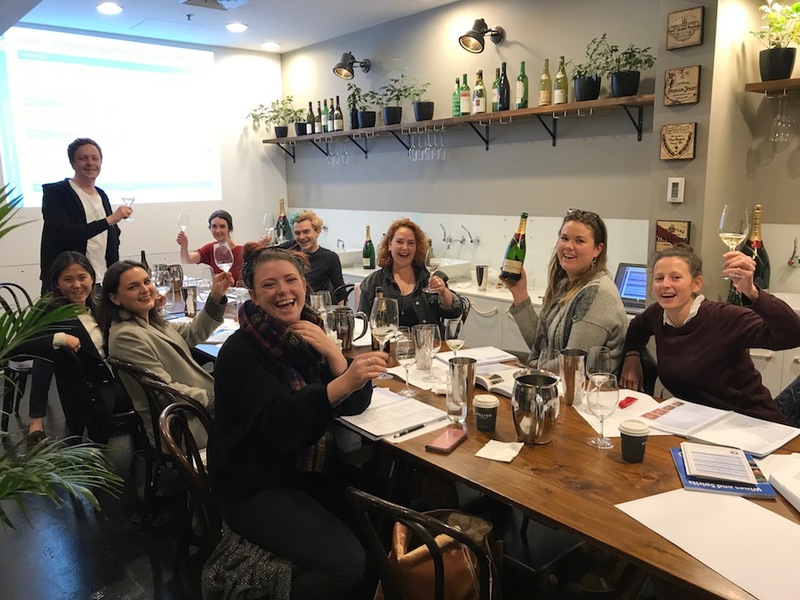 Following rapid growth, Get Wine Smart recently rebranded from its original name ‘Wine Construct’ and now has a team of educators delivering WSET courses to the Australian trade. The APP provides distributors, producers and hospitality companies with innovative solutions to their corporate training needs and its use of interactive learning materials sees its students achieve above average results. RNDC has shown an extraordinary level of commitment to WSET education. Using WSET Educator Programmes to develop talent internally, it has grown its capability to support staff through WSET qualifications and increased candidate numbers for wine and spirits qualifications 5-fold in just two years. With attention to quality assurance, it is also launching a custom WSET Diploma course. Truro College has found great success by reaching out to the hospitality sector across the South West UK and adding spirits qualifications to its WSET repertoire. Securing funding and engaging with local hospitality businesses has enabled the college to grow candidate numbers significantly, seeing the opportunity in what is often thought as a challenging region due to geography and economics. Tulleeho Portals has been a key WSET education provider for India’s trade since 2009, both across the wine country and in bar schools and hospitality colleges throughout Mumbai, Delhi and Bangalore. As the first APP to offer the Level 2 Award in Spirits in India, it is amping up its spirits offering, partnering with global drinks brands, and has been a great support to WSET’s team for recent activity in the country. West London Wine School has established an outstanding reputation as an educator for both consumers and the trade. It has seen continuous growth in candidate numbers thanks to a full schedule with a variety of options for course dates and has gained exposure through both social media and word-of-mouth. In 2019, it will also be expanding its offer by introducing WSET spirits and sake qualifications. The winner will be announced at the WSET Awards and Graduation ceremony at the Guildhall, City of London, UK on 21 January 2019.